Si, I had an awesome weekend. Si, I feel like I need a plate of chips and guacamole to go with it! Truly one of the cutest tees you can have in your wardrobe this summer! Also a must have if you're heading to Mexico anytime soon ;) Completely disregard that it's the comfiest and softest material, because the saying on the front sold me in a second! I loved pairing this fun tee with my comfy high rise flares and a fun belt. I also love these layered necklaces that Musana offers, so simple and so chic! As for life lately, we rolled into home last night at 1 AM from a long fun weekend of playing in Lake Powell, so I'm still trying to get back to normal life after having a few carefree days of fun! 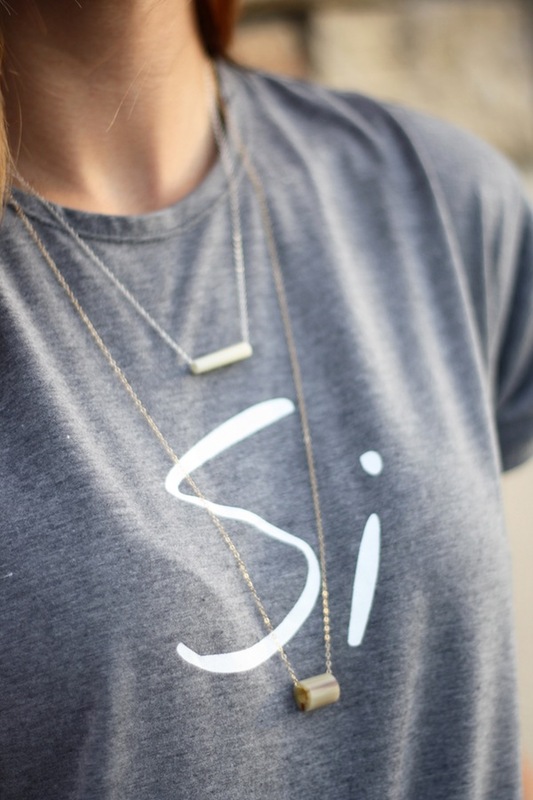 Make sure to check out my instagram page (@robynstew8) today for an awesome giveaway...let's just say you may be able to win one of these "Si" tees for yourself... and a few other things with $250 to Kingdom & State! Those jeans fit you like a glove and I adore that fun and vibrant clutch! These jeans really do have a great fit! Thanks girl! I love this outfit. So simple but well thought out and put together. So this is actually a medium- the small fit great but the medium was a little more comfy!